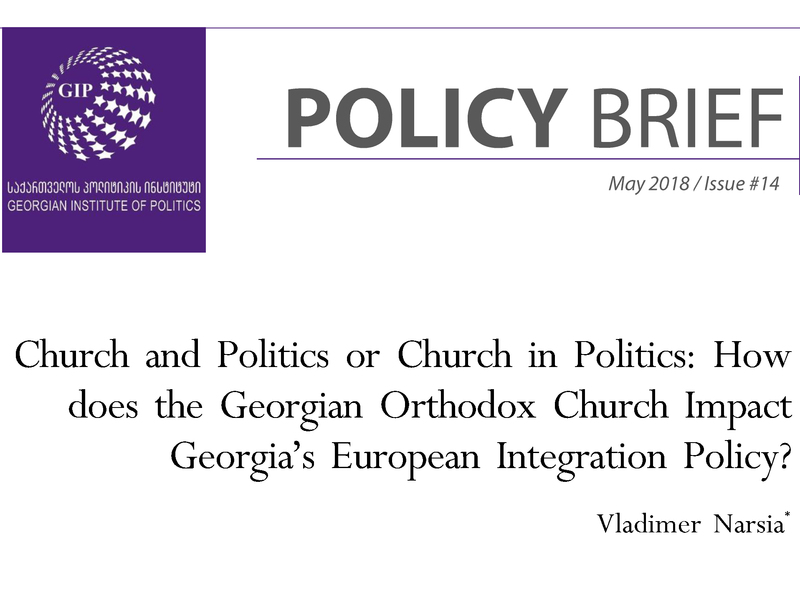 This policy brief analyzes the role of the Georgian Orthodox Church (GOC) in Georgian society, particularly in the context of promoting the European integration process. The paper consists of three sections: sermons and preaching that influence European integration policy; the Church-State nexus as a non-secular alliance; and the weak international links of the GOC. All three sections look at the GOC from the perspective of its level of support for Georgia’s European integration policy. While Patriarch of Georgia Ilia II can be considered an ecumenical and equivalently a European minded leader based on some of his statements, his position has not been shared by all Georgian primates and, in this paper, this ambiguity is considered a threat for the state’s European policy. Overall, the paper assumes that the GOC is in the primary stage of developing a clearer and more lucid positive role, which would allow it to avoid polarizing the society over the critical question of the European policy.